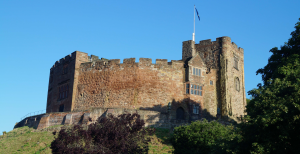 On Monday 11th February 2019 Year 4 visited Tamworth Castle. Activities included a tour of the castle looking at the armoury, dungeons and structure of the castle. We looked at why castles were first built? (The Normans wanted to gain control of the country quickly) and what materials they were first built from and why (wooden castles were easily resourced and could be built quickly). We looked at how and why castles changed. We then looked at how the role of castles changed from a defensive fortress into a place to show status in society through The Tudor, Stuarts and Georgian periods. The trip helped us consolidate our knowledge of The Normans and provided us with a glimpse into the lives of the Tudors (which we will be covering in Spring 2). Welcome to 4 St Cecilia’s class blog. We hope it will be a valuable source of information to assist you in our education journey.